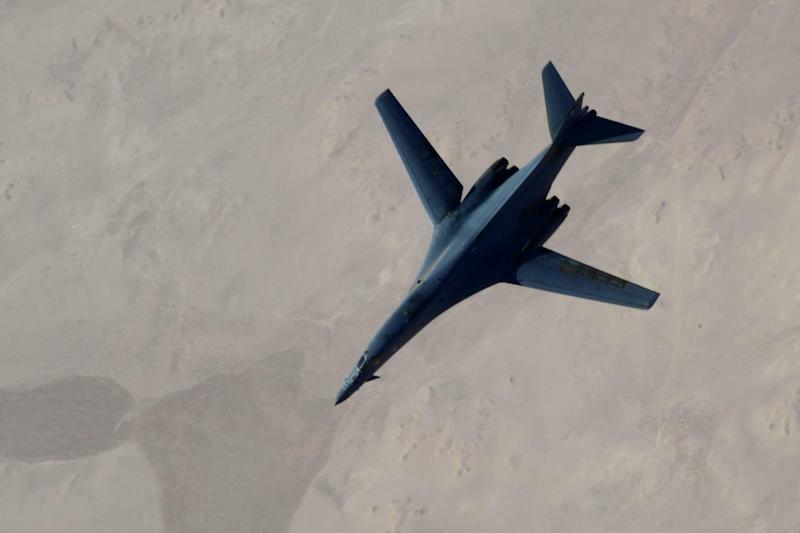 Washington (AFP) - American aircraft bombed the Khorasan group in Syria on Thursday, in the third attack on the Al-Qaeda offshoot that is considered an immediate threat to the West, the US military's Central Command said. "We can confirm that US aircraft struck a target in Syria earlier today associated with a network of veteran Al-Qaeda operatives, sometimes called the 'Khorasan group,' who are plotting external attacks against the United States and our allies," spokesman Colonel Patrick Ryder told AFP. He declined to provide further details of the air raid, the latest in a series against the group that US officials say is a collection of militants from Al-Qaeda and the Al-Nusra Front, which is Qaeda's Syrian branch. "We will continue to take any action necessary to disrupt attack plotting against the United States," Ryder said. The group has been hit by US warplanes in two previous strikes -- once in September at the start of air raids in Syria against the Islamic State group, and last week, when a French bomb-maker was targeted by American aircraft. The Khorasan group had been an obscure cell until US intelligence officials flagged it in September, days before dozens of Tomahawk cruise missiles were launched from naval ships against the militants near Aleppo. The White House has said the group includes Al-Qaeda operatives from Afghanistan and Pakistan who made their way to Syria. Independent experts and Syrian activists have questioned how the group has been portrayed by Washington, and have cast doubt on the distinction between Khorasan and the Al-Nusra Front. Most rebel groups in Syria have been willing to cooperate with Al-Nusra despite its allegiance to Al-Qaeda. Unlike the Islamic State group, Al-Nusra has maintained a focus on overthrowing Syrian President Bashar al-Assad and has mostly Syrian -- not foreign -- fighters, experts say. Apart from the air strikes on the Al-Qaeda offshoot, the US-led air campaign has focused on the IS jihadists, with more than 800 coalition bombing raids since August 8 over Iraq and Syria.